2 - 8 cm in diameter; initially convex, becoming nearly plane to nearly umbonate in age, dry, smooth, rusty brown to orange color, margin even, at length striatulate (with marked by small lines, grooves or ridges), cracking slightly in age, flesh pale yellow to pale orange. Close to crowded; broad, edges fimbriate, yellowish or pale orange, eventually orange; sometimes with reddish brown spots. 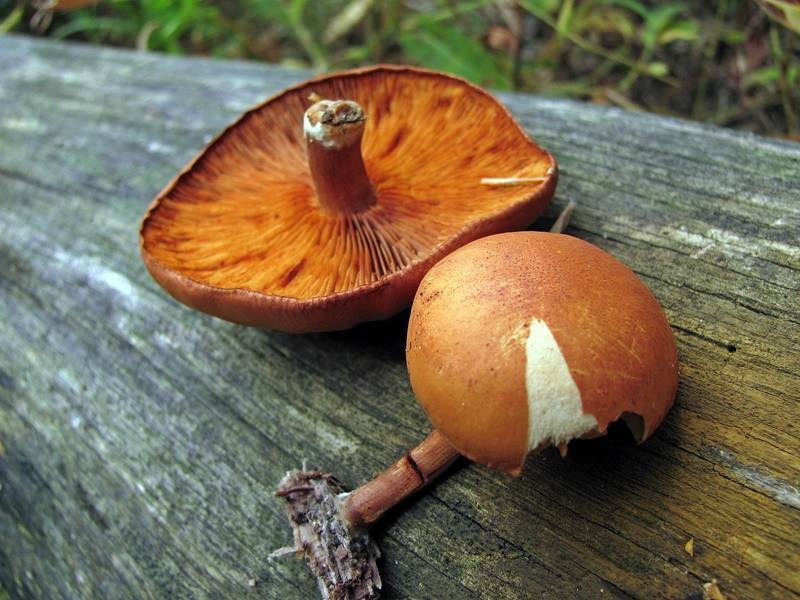 (1)3 - 7 cm long; (2)3 - 8(10) mm thick; more or less equal, or tapering in either direction; sometimes slightly, even to off-center; smooth or finely fibrous; whitish to pale orange; yellowish or rusty colored mycelium at the base of the stalk. No partial veil. 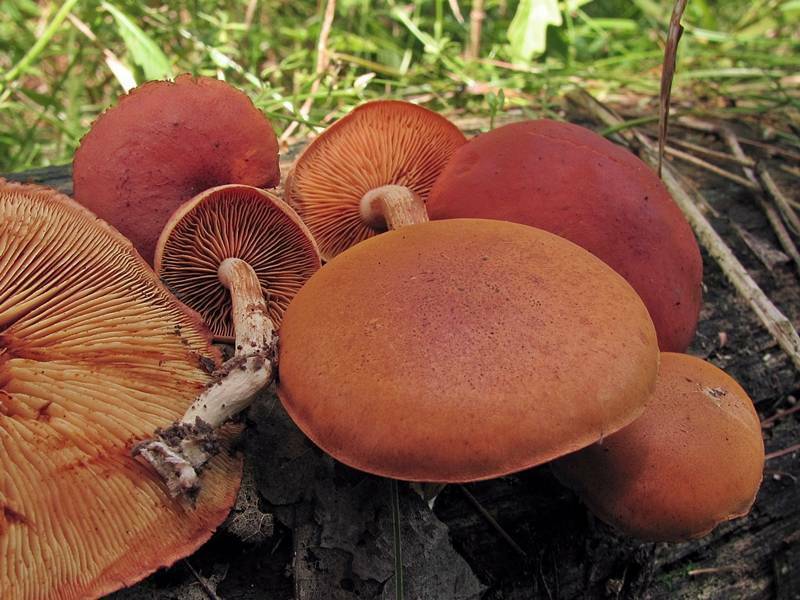 Much like other Gymnopilus species it is found Late july through november, but really depends on the conditions. 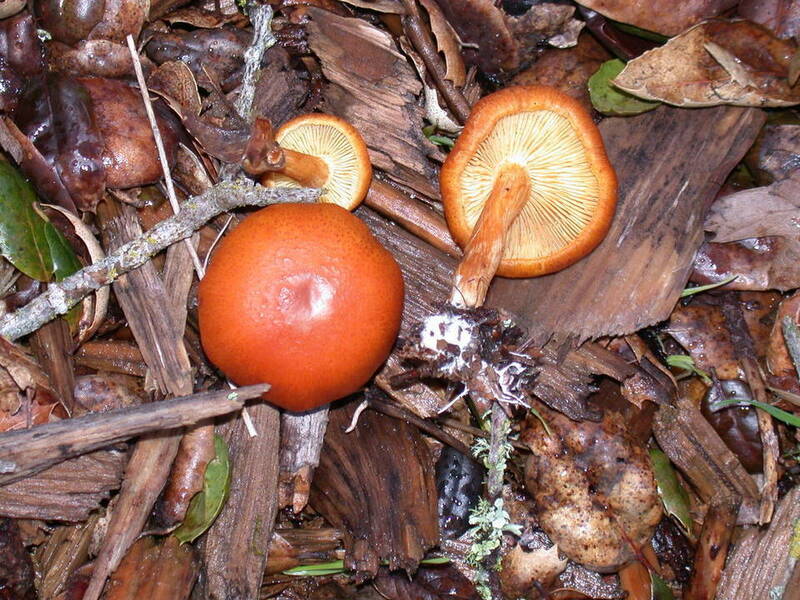 Gymnopilus liquiritiae is a widely distributed wood rotting mushroom, subcaespitose on conifer, seems to prefer dead hardwood in the southern regions. 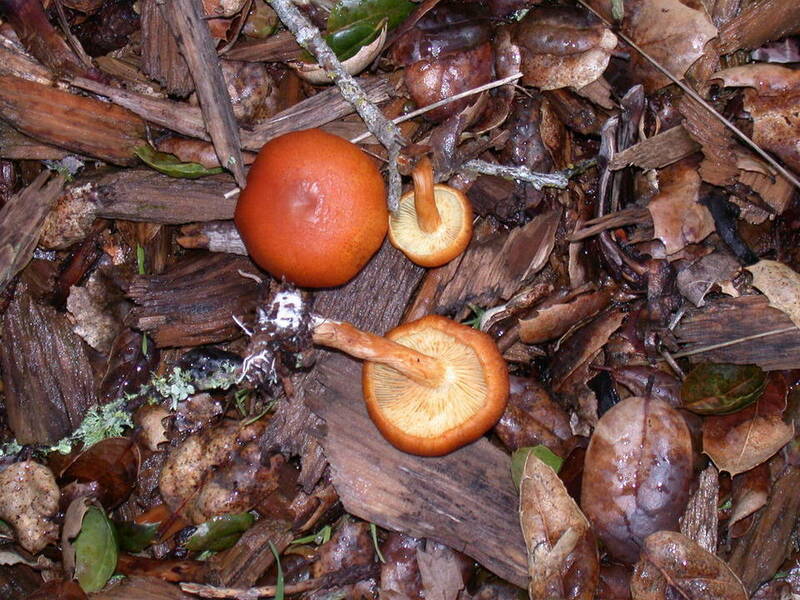 Much like G. junonius these are found on decaying wood, both hardwoods and conifers. They are found mostly on conifers. 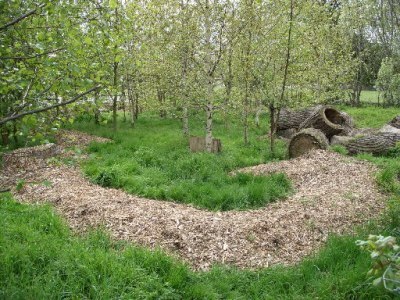 They can grow on newly fallen trees sometimes as old as a year, but prefer older logs, fallen trees, and wood chips. 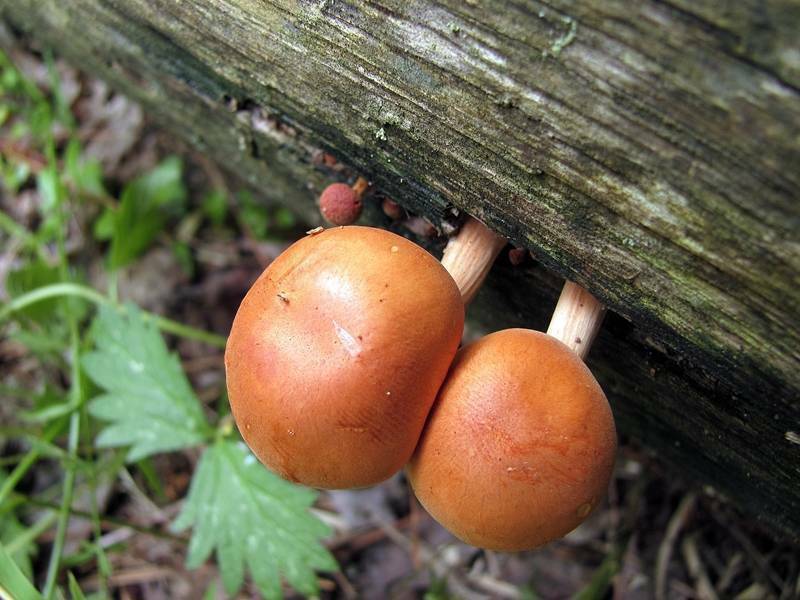 Saprobic on the rotting wood of fallen hardwoods (especially in the south) and conifers (especially in the north and west); growing alone or gregariously; widely distributed; summer and fall. The cap will bruise blue or green upon handling or already have blue or green spots. The base will bruise blue or green as well as the stipe in some cases. One of its key distinguishing features is the lack of partial veil. *The pictures displayed here may not be true G. liquiritiae, no microscopy has been done on these observations. However they are a good representation of what the species may look like.